Lepidolite in the stone provides the purple colour to the Aventurine. Known as a protection stone Purple Aventurine can be used to support dream recall and interpretation. Purple Aventurine & Brass Bracelet. 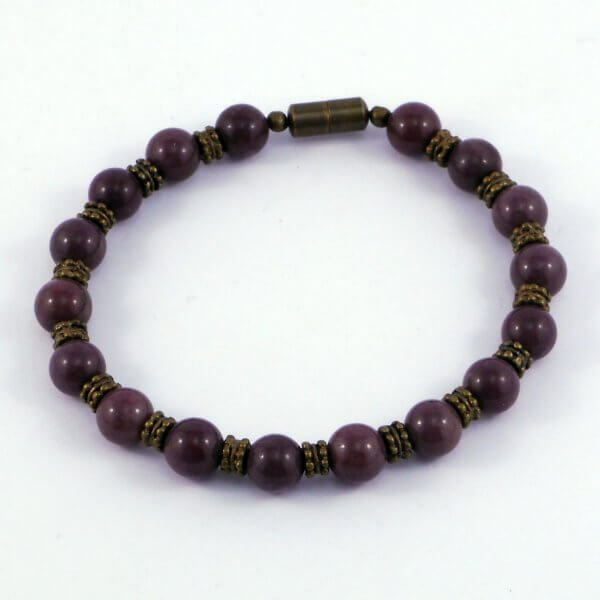 Interesting antiqued brass spacers with twin rows of patterning separate the Purple Aventurine stones in this gorgeous unisex bracelet. 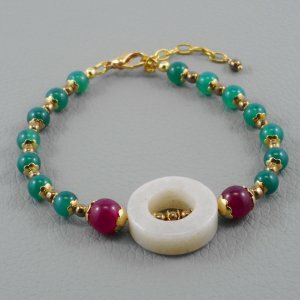 This Purle Aventurine & Brass bracelet measures approx 18cm and is completed with a smooth antiqued brass screw clasp.